Lois McMaster Bujold, a great writer made no less great by the fact that she writes science-fiction books with covers like this, wrote one of the truest things I have ever read about becoming a parent: “It's a transcendental act. 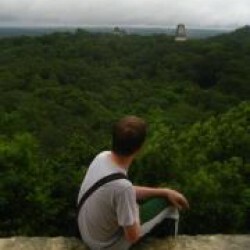 Making life… 'By this act, I bring one death into the world.' One birth, one death, and all the pain and acts of will between.” This, from a story with spaceships and lasers in it.When we have children, we birth potential into the world. We question ourselves, our spouses: who will this person be? What foods will he like? Will she be as smart as you? Will he inherit your sense of humor, your eyes, your smile? Will she be healthy? Happy? Everyone loves to tell you how your life is going to change after having kids, about how things will never be the same but also how you’ll discover a love you never imagined you could feel, filling you up and overflowing.What they usually don’t mention is the fear. The knowledge that so many terrible things can go wrong. That the world can be a bright and beautiful place, but also a cold and hard one, and that your child will experience a measure of both. You can only hope it’s more good than bad. Only hope, and do everything you can to make it so.The Still Point of the Turning World is the story of a mother for whom all those fears became suddenly, crushingly immediate. 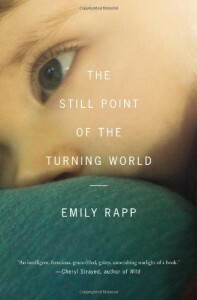 Writer Emily Rapp (author of a respected memoir about growing up with a disability that requires her to wear an artificial limb) saw her future collapse in on itself one January day in 2011 when she took her infant son Ronan to the doctor for an eye exam and learned he had Tay-Sachs disease, a debilitative genetic disorder that is always fatal, that cannot be treated or cured, only managed.Read the rest of the (slightly revised and less digressive) review on the Barnes & Noble Book Blog.